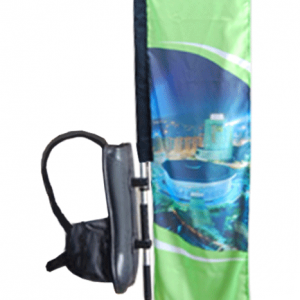 Backpack Flags are the simplest, easiest and most cost effective way to make a roving human billboard! 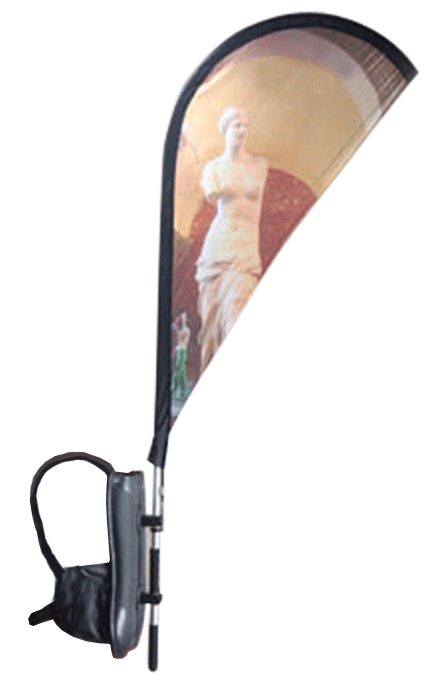 Available in three different styles, each with a comfortable, easy to wear backpack with comfortable padded straps. 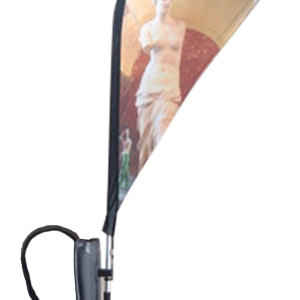 Block Backpack Flags are wide and tall, allowing for tremendous advertising capacity. They look great! 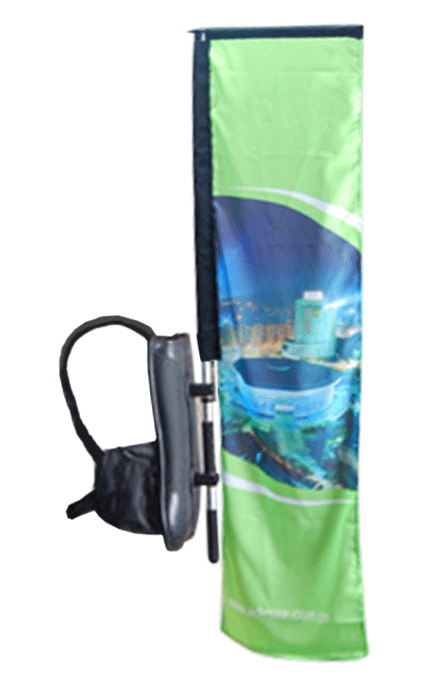 Teardrop Backpack Flags rise taller than the Block Backpack flags making it even easier to to stand out from the crowd. 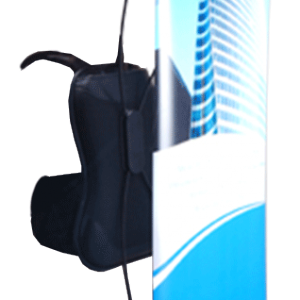 Great for convention halls or large crowds of people. Want to really stand out in the crowd? 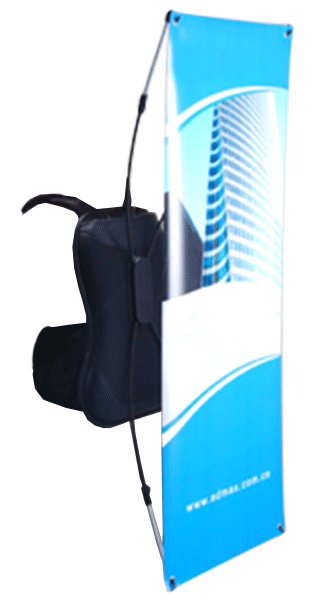 The X-Frame Backpack Flag will do that in an instant! 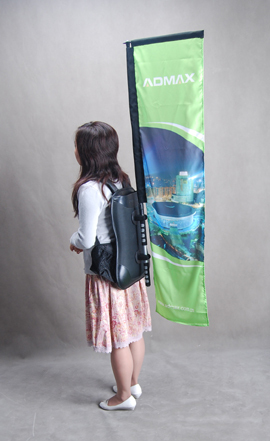 The flag itself is sprung outward from the backpack. This makes for a very taught and clean looking display!